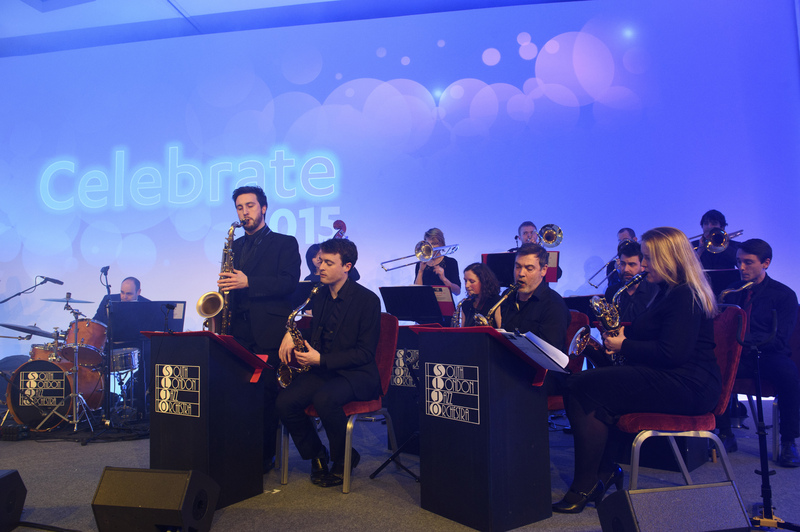 Catch up on the latest news from the South London Jazz Orchestra. Be the first to hear about upcoming concerts and find out what the band has been up to recently. Read on! Welcome to the new SLJO newsletter. The band have been practicing hard all winter in preparation for the sun to come out once again. We've got a pad of hot new numbers and some great new players, joining what was already the UK's largest regularly performing jazz big band. And we're eager to show them off. Below a re just a few of the chances to see the band perform live over the next few months. For the full gig calendar, check out our website. The website also is the best place to go for information if you would like to book the band for an event. Because of our large pool of talented players, SLJO is able to accommodate venues of all sizes, bringing along a really big band for a full-throated outdoor performance or a smaller group of 15 or so for weddings, corporate events and other smaller spaces. New members are welcome. 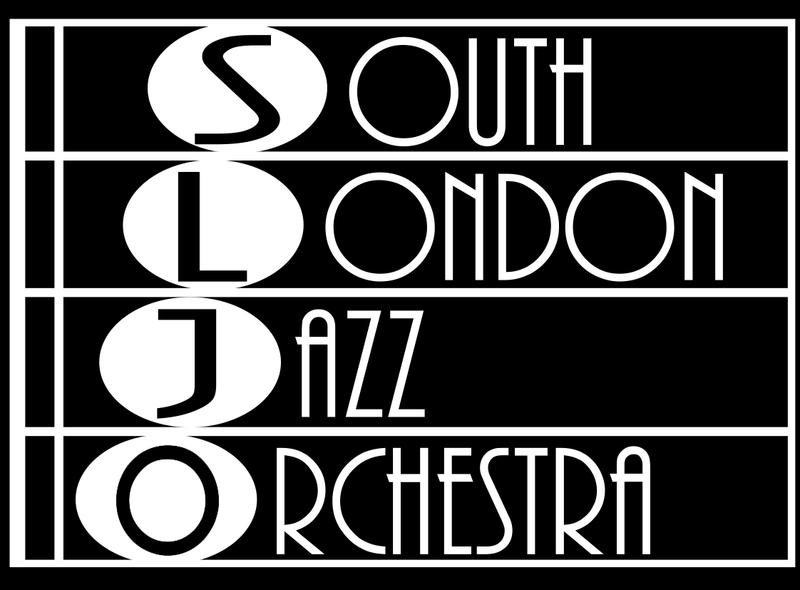 SLJO is part of South London Community Music, and we embrace our parent organisation's inclusive ethos. You don't need to live in South London either. Our members come from all over the capital. In particular, we always are looking for drummers, pianists and other rhythm section players. If you are finding a lack of opportunities to play elsewhere, come to one of our Wednesday evening rehearsals and see what it's all about. 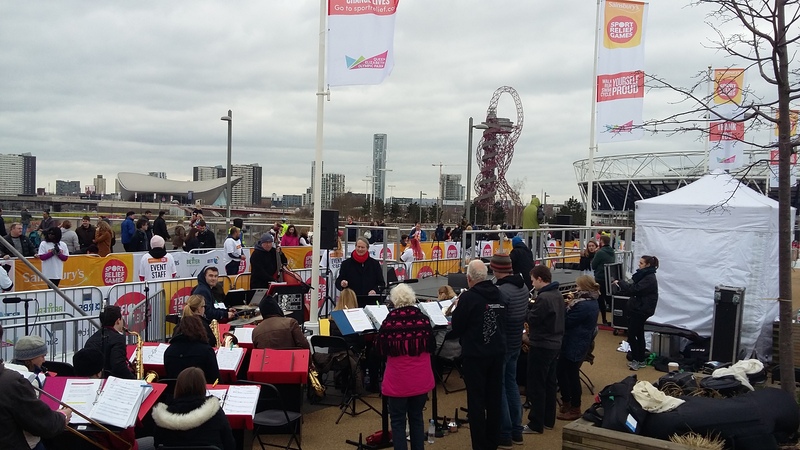 In March, SLJO dressed warmly in support of Sport Relief, playing runners across the finish with the iconic structures of Queen Elizabeth Olympic Park as backdrop. The poor sax players. At least the trombonists could wear gloves! 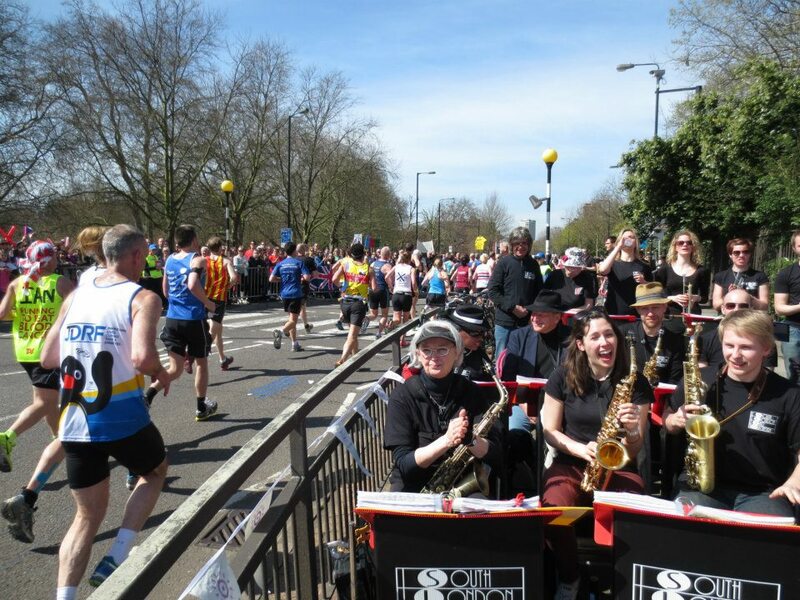 Come join SLJO in front of lovely Southwark Park this Sunday to support the amazing marathon runners. This is one of our longest gigs of the year. We don't stop playing until they have all passed by. So if you can never get enough of SLJO, this is the event for you. Top-notch swing music, world-class athletes and running rhinos - what else could you wish for? SLJO is playing the Brighton Fringe for the very first time. With 900 events during the festival - from cabaret to comedy, theatre to dance - perhaps make a weekend of it. We are! SLJO will be playing in support of Doctors of the World. They provide medical help to Syrian refugees and migrants in Calais. 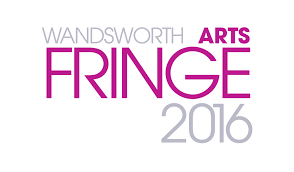 The Wandsworth Fringe was one of our very favourite gigs in 2015, so we are pulling out all the stops this year, with some new songs and some talented new musicians and singers. The show may be recorded live, so you have a chance to be part of history. Was this quarterly newsletter sent to you by a friend? Why not join our mailing list. Copyright © 2016 South London Jazz Orchestra, All rights reserved.